Enjoy your favourite music on the move with PMX 685i Sennheiser headphones which deliver superb sound quality with lightweight premium earbuds and a light rugged neckband. 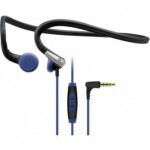 Designed in conjunction with Adidas, these sports headphones are durable and reliable without sacrificing sound quality. 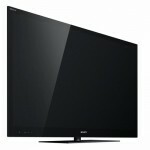 Sony Bravia KDL55NX720 is a whole new third generation LED TV featuring 1080p HD picture quality with a 55-inch LCD. 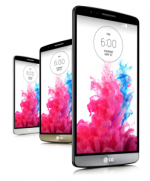 Moreover, it has motion flow and fluid motion for crisp and fast action scenes. Built in Wi-Fi through which you can access the internet. BlackBerrys have a reputation for being business-only, but with great multimedia applications like Slacker Radio and FlyCast available, you’ll want to invest in some high quality headphones. Made especially for BlackBerry phones, RIM’s Premium Multimedia Headset boasts a comfortable fit, noise-cancellation technology, and convenient built-in playback and volume controls. These controls, however, will work only with BlackBerry devices running OS v4.6 or higher. With the intention of thrilling the world of technology, Apple is working on the new concepts of iPhone 6 with a screen size of 5.5 inches. Though, Toshiba has introduced a new 4k Ultra HD laptop earlier this year; but the company has finally revealed the specifications of this new invention few days back. Finding the best option, you have reached the ultimate place; many of you are in search of action camera that makes you an adventurer and allows you to observe cool things.